Do many of your customers have a penchant for classic design? The Classic style is for those who like to surround themselves with beautiful things and who feel relaxed and comfortable in sophisticated environments. 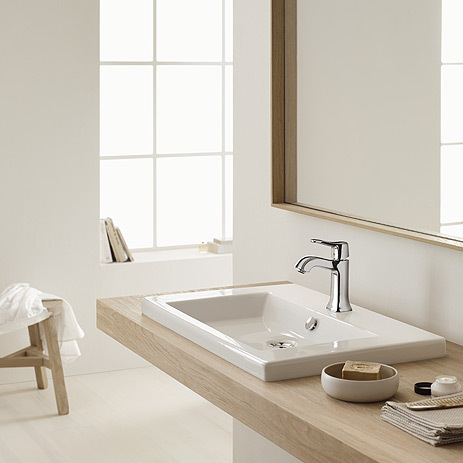 It conjures up a warm atmosphere in the bathroom, and combines traditional qualities, such as harmony and elegance, with modern elements. 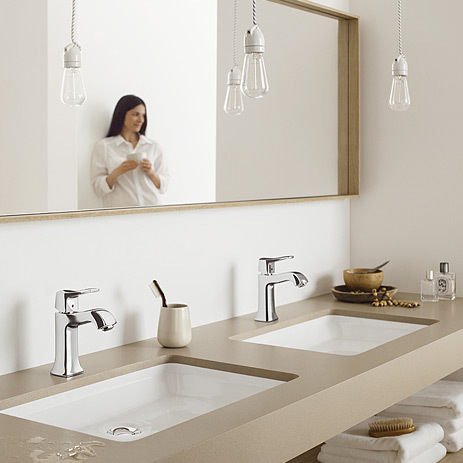 It also incorporates trendsetting features: hansgrohe's modern classics combine nostalgic charm with innovative technology, for example EcoSmart. Here you will find even more selling points for the classic mixer ranges Metris Classic and Talis Classic. 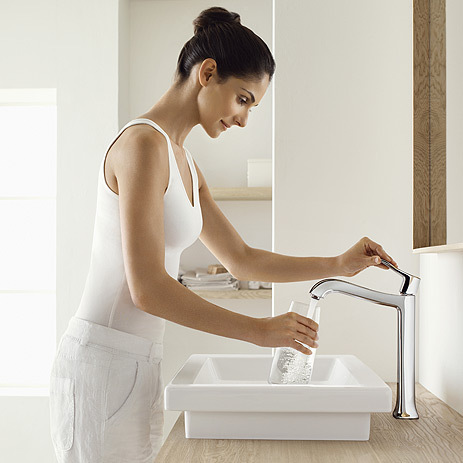 The elegant, harmonious mixer range will enhance your customer’s stylish bathroom: whether installed on the wash basin, the bath tub or in the shower. These mixers gracefully exude the luxury of former times. And, thanks to water-saving technology, they are absolutely future-proof investments for wash basins, bath tubs and showers. 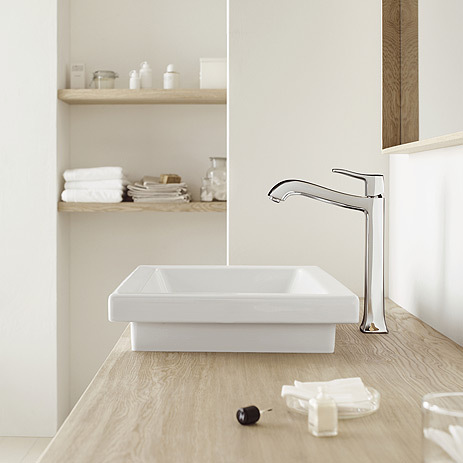 Innovative functionality and classic beauty - a timeless combination for wash basins, bath tubs and showers. 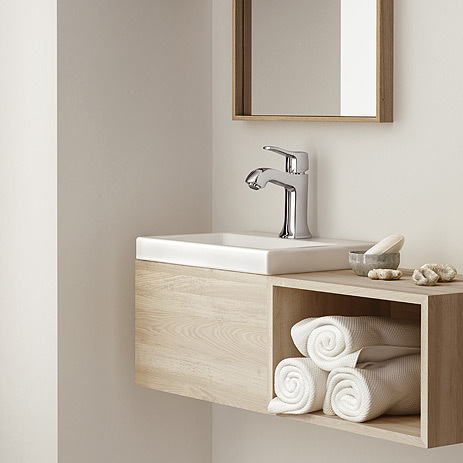 Accessories matching hansgrohe's Classic bathroom style: high-quality lotion dispensers, soap dishes and toothbrush tumblers made from ceramic. 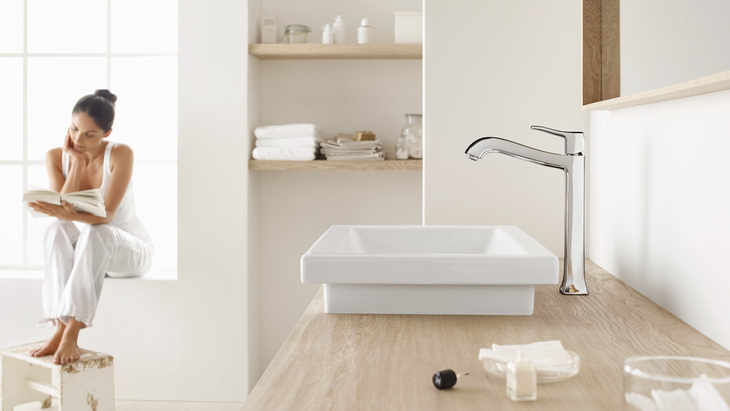 They also feature hooks, towel holders, roll holders and toilet brush holders.